What is a Hospice Nurse and What Does a Hospice Nurse Do? The hospice nurse is a vital part of the Samaritan hospice team. The team is composed of your family physician and/or specialist, plus a Samaritan physician, nurse, social worker, spiritual support counselor, home health aide, volunteer, and other specialists if necessary. Together, the team addresses the physical, emotional, and spiritual needs of you and your family. All hospice nurses must be licensed in the State of New Jersey. Many of Samaritan’s nurses are also certified hospice and palliative care nurses (CHPN). A hospice nurse cares for people who have been diagnosed with six months or less to live and have chosen hospice care at the end of life. As part of the hospice philosophy of care, a hospice nurse focuses on comfort and quality of life. They provide individualized care based on each person’s unique needs. A hospice nurse discusses and explains your prognosis. They perform patient assessments and review medical histories. They monitor vitals and assess breathing. They ask you about your pain and monitor pressure ulcers (wounds). The hospice nurse also checks your living space for any safety hazards. They obtain a physician’s order for oxygen (as indicated), a hospital bed, medications, and other supplies as necessary. They teach family/caregivers about medication indications and side effects. They educate you on how to administer medications and are there to answer any questions. They create a plan of care for all professional caregivers to follow. 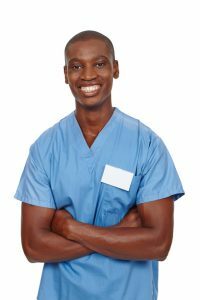 They supervise certified home health aides (CHHAs) and licensed practical nurses (LPNs). A hospice nurse educates your family about the disease process, hospice philosophy, nutrition, medication, and skin care. They review and discuss the DNR (do not resuscitate) document. They always emphasize instructions to call Samaritan 24 hours a day/7 days a week with any questions: (800) 229-8183. The hospice nurse collaborates with your other healthcare providers and specialists. The hospice nurse will talk to you about what to expect as death nears and will be the person who confirms your loved one has passed away. 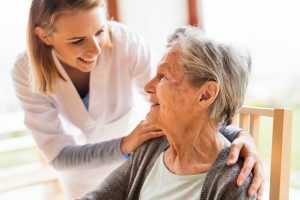 The hospice nurse provides care in your home, assisted living or nursing home, rehabilitation facility, hospital, or at Samaritan’s inpatient hospice centers. Have any questions? You can call us 24/7: (800) 229-8183. Interested in a career as a hospice nurse? Search jobs now. Hospice nurses advocate for comfort and dignity. They educate and guide. They provide honest and compassionate discussion about death and dying. They listen. They reassure. Hospice nurses are experts in pain control. They know exactly what to do for your loved who is in pain or extremely uncomfortable. They are flexible and know how to navigate family dynamics in conjunction with other interdisciplinary team members..
A hospice nurse offers a calming presence. When your loved one is seriously ill, you deal with anxiety, fear, and difficult emotions. A hospice nurse is there for you. Do hospice nurses enjoy their job? What are the benefits to becoming a hospice nurse? Many hospice nurses find satisfaction in looking after people who are at the end of life. 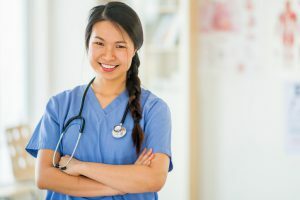 It gives nurses the opportunity to make a meaningful difference in a patient’s life and help people live as comfortably as possible with the least amount of pain in their final days. Are hospice nurses available 24 hours a day? Yes. If your loved one is receiving Samaritan’s hospice care, a nurse is available by phone 24 hours a day, 7 days a week at (800) 229-8183.